If you use facebook at all, you most likely recognize this cat! Clever idea. I stumbled upon this beautiful pattern today! 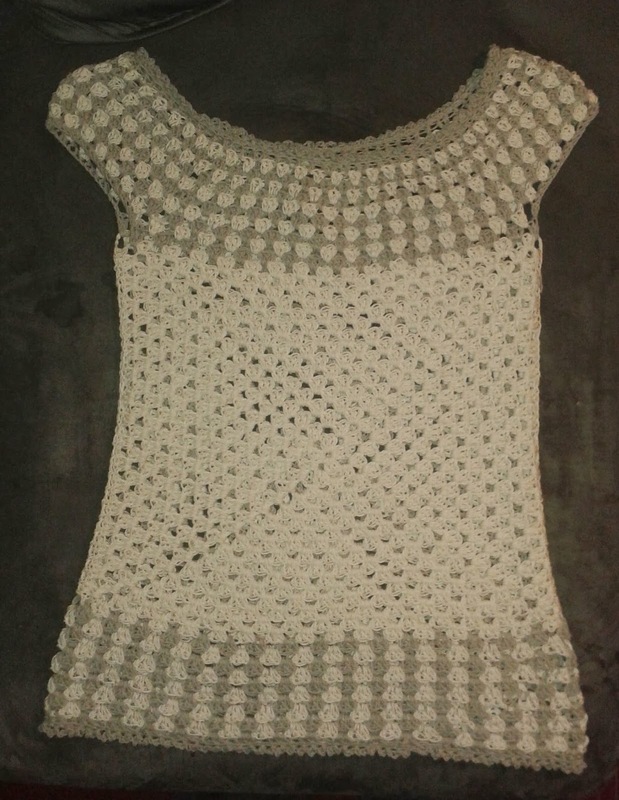 I've never heard of someone crocheting around rope for a "clothing" piece before, this is great! 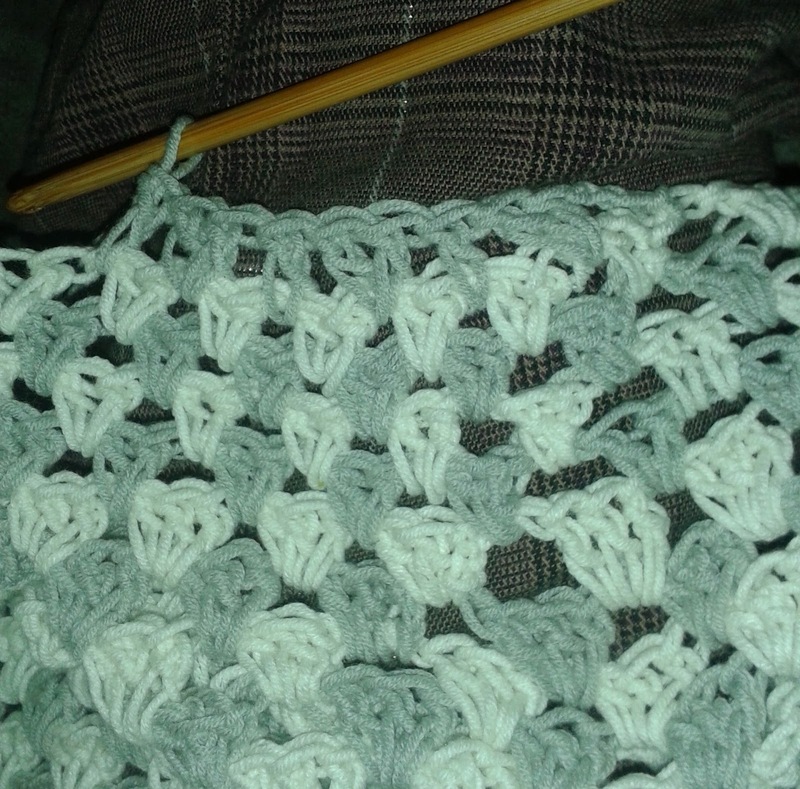 You may also learn a new stitch with this pattern, if you're not yet familiar with the Solomon Knot. 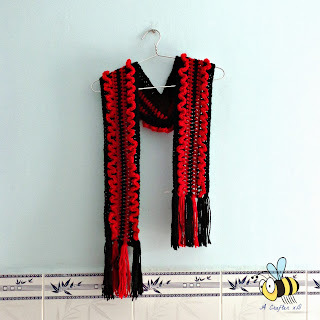 I not only love crochet clothing and accessories, but absolutely adore crochet decor! It's always unique and you can extremely creative, not only with style, but with color as well. 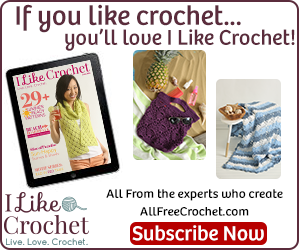 If you want to get some more crochet lampshade inspiration, simply go to Google Images and type in "crochet lampshade"! JÄRA in 35 cm from IKEA. 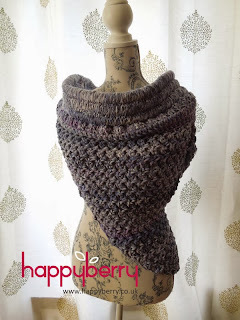 Here's an awesome scarf pattern with some beautiful ruffled flair. I love the color variation! 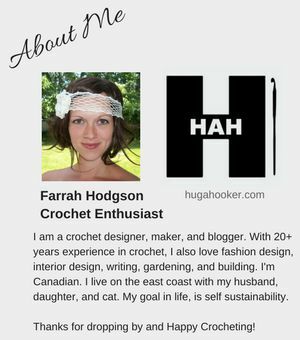 Although I, personally, am currently designing for summer, it's still winter; and here's a great boot cuff pattern from The Crochet Lounge to keep you styling this new year! 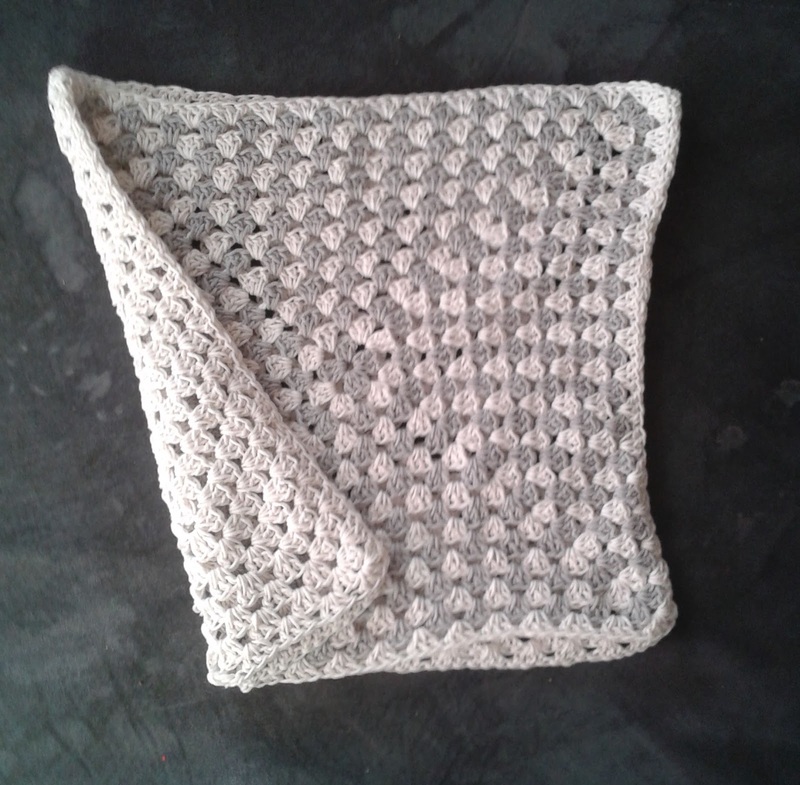 Here’s one of my new spring/summer 2014 patterns! It is fun and the color variations are endless! Make it all one color, or spice it up with your favorite shades. Comfortable and stretchy, I used a lightweight yarn with a larger than suggested hook size, keeping the upcoming warmer weather in mind! I used 2 colors, white and steal grey, but this would look great in any color combo, I don’t think you could go wrong. You could even use several colors, not just two colors! 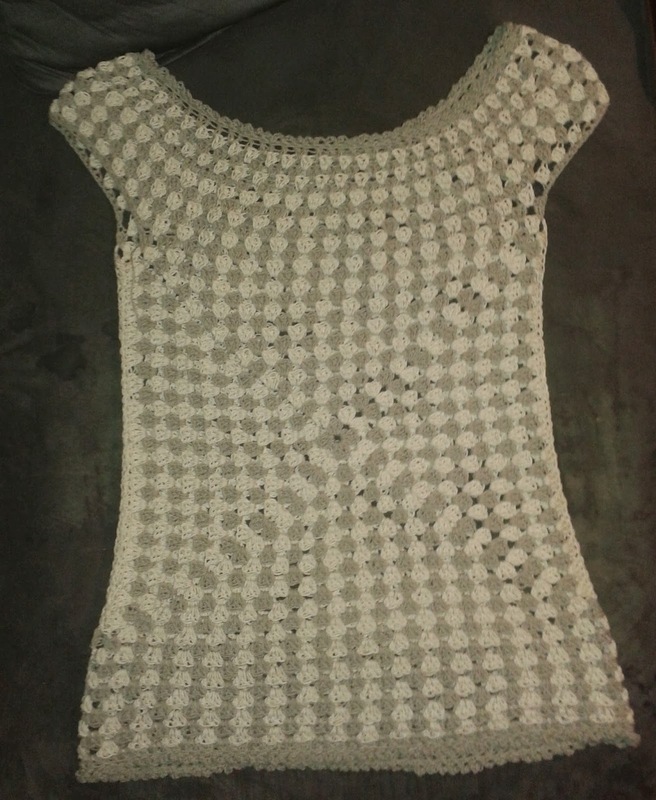 This is a pattern from my actual spring/summer collection. I am giving it away to my loyal followers for free. 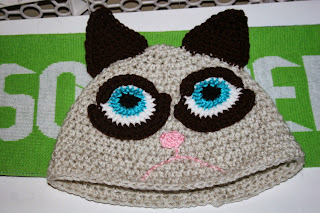 Please do not copy my pattern, sell my pattern, or the finished product online. I sell finished work online, you’d be therefore in direct competition with me, and it is against my copyright. HOWEVER, I do not mind you making this for personal use, or for selling at live crafting events or markets in your area. This pattern has not been tested! I am human and capable of typos, miscalculations, and flaws. If you find anything funky, don’t hesitate to let me know! I have only made this in size medium, the other size adjustments are calculations based on the pattern and standard American shirt sizing. 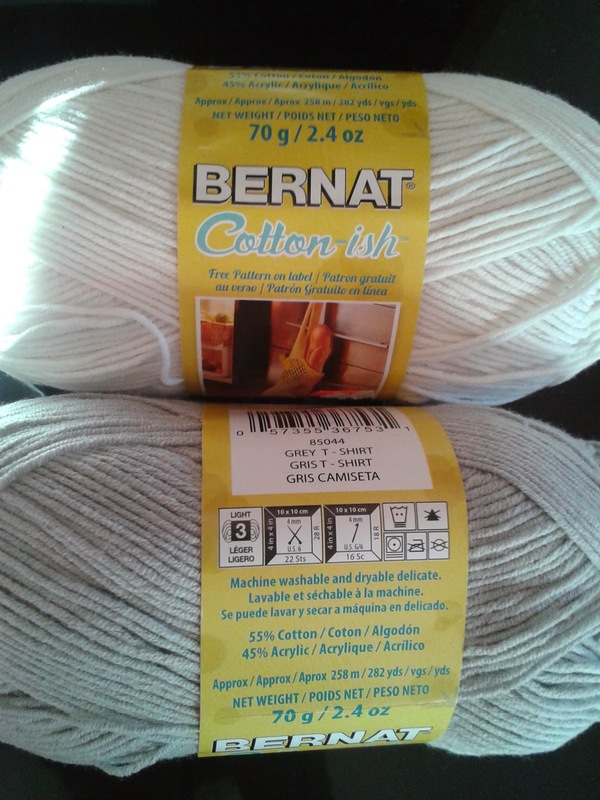 Yarn: Bernat Cotton-ish 70 gram (2.4oz) 282 yards; Yarn Size= Light “3” I used 3 skeins, 2 white and 1 grey. 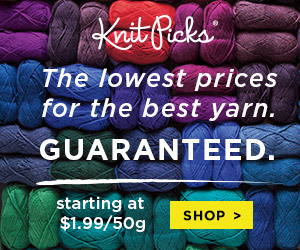 You may need to grab an extra skein for larger sizing, but you won't use it all. 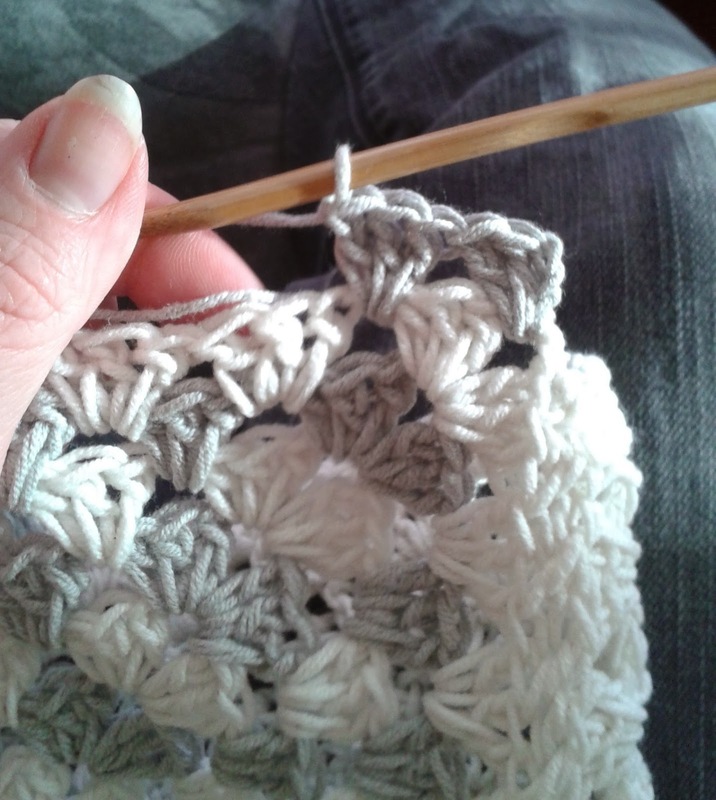 Gauge: Make a granny square with 2 rounds (6dc down each side) This square should measure approximately 2 inches across. 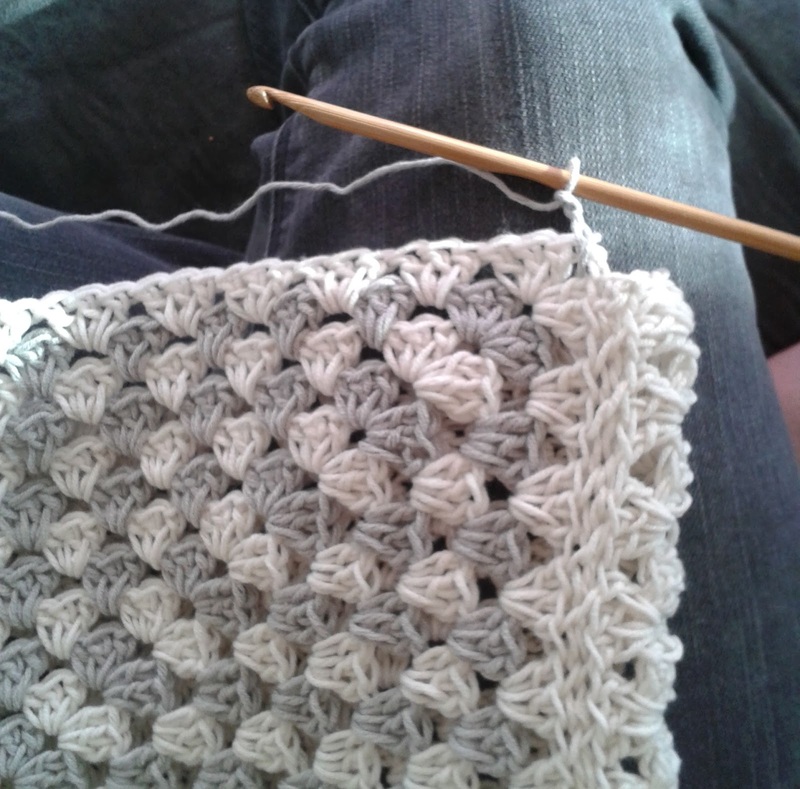 Don't know how to make a granny square? 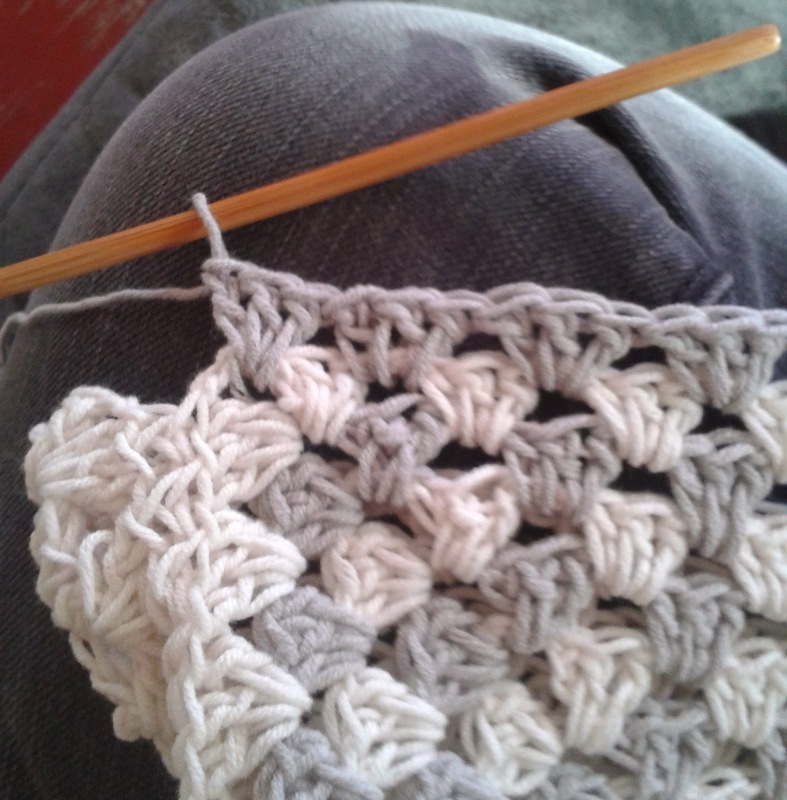 Click here-how to make a granny square. 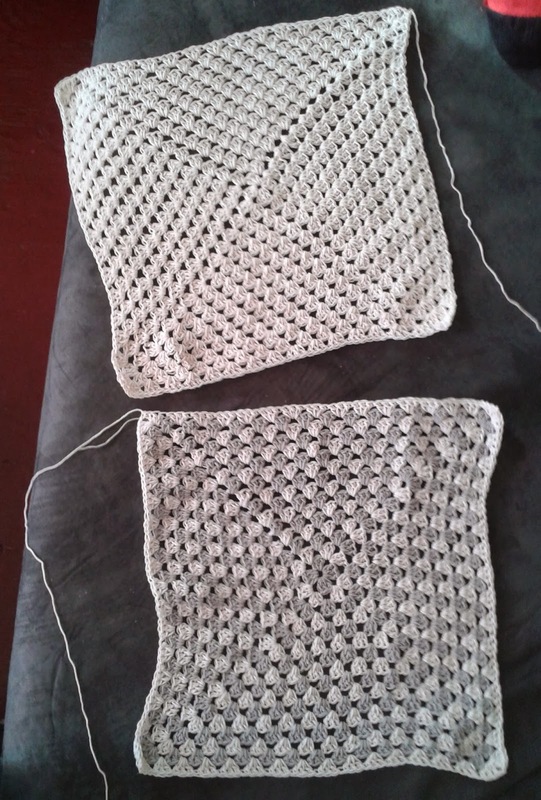 Sew the granny squares together: Using the long tails of yarn; line up your two granny squares, right sides facing outward, making sure you have a yarn tail on each side; evenly sew up the sides. This creates the only seam in your shirt. ARMHOLE: fsc 35, sl st in 2nd ch of beginning ch2. Sl st in next 2 dc. Rnd 2: Sl st in space between 1st and last shell of rnd 1; ch3 (counts as 1dc) 2dc in same space; *shell* (13, 15, 17, 19) times; skip nest shell, 3dc in 1st fsc of arm, (skip next 2fsc, 3dc in next fsc) 11 times; shell across back side (14, 16, 18, 20) times; skip next shell, 3dc in 1st fsc of fsc of arm; (skip next 2fsc, 3dc in next fsc) 11 times; sl st in 3rd ch of beginning ch3. Rnd 3: Sl st in space between 1st and last shell of rnd 2; ch3, 2dc in same space; *shell* around top (51, 55, 59, 63) times, sl st in 3rd ch of beginning ch3. Rnd 4: Sl st in space between 1st and last shell of rnd 3; ch3, 2dc in same space; *shell* around top (51, 55, 59, 63) times, sl st in 3rd ch of beginning ch3. Rnd 5: Sl st in space between 1st and last shell of rnd 4; ch3, 2dc in same space; *shell* around top (51, 55, 59, 63) times, sl st in 3rd ch of beginning ch3. Rnd 6: Sl st in space between 1st and last shell of rnd 5; ch3, 2dc in same space; *shell* around top (51, 55, 59, 63) times, sl st in 3rd ch of beginning ch3. Rnd 7: Sl st in space between 1st and last shell of rnd 6; ch3, 1dc in same space; *2dc in next space between shells* (51, 55, 59, 63) times, sl st in 3rd ch of beginning ch3. Rnd 8: Sl st in space between 1st and last 2dc’s of rnd 7; ch3, 1dc in same space; *2dc in next space between 2dc’s* around (51, 55, 59, 63) times. Rnd 9: Sl st in space between 1st and last 2dc’s of rnd 8; ch3, 1dc in same space; *2dc in next space between 2dc’s* around (51, 55, 59, 63) times. Rnd 10: Sl st in space between 1st and last 2dc’s of rnd 9; ch3, 1dc in same space; *2dc in next space between 2dc’s* around (51, 55, 59, 63) times. Rnd 11: Sl st in space between 1st and last 2dc`s of rnd 10; ch3 (counts as 1dc), *2dc in next space between 2dc`s, 1dc in next space* (25, 27, 29, 31) times; 2dc in last space; sl st to 3rd ch of beginning ch3. Rnd 12: Ch1, sc in each dc around (78, 84, 90, 96) times. 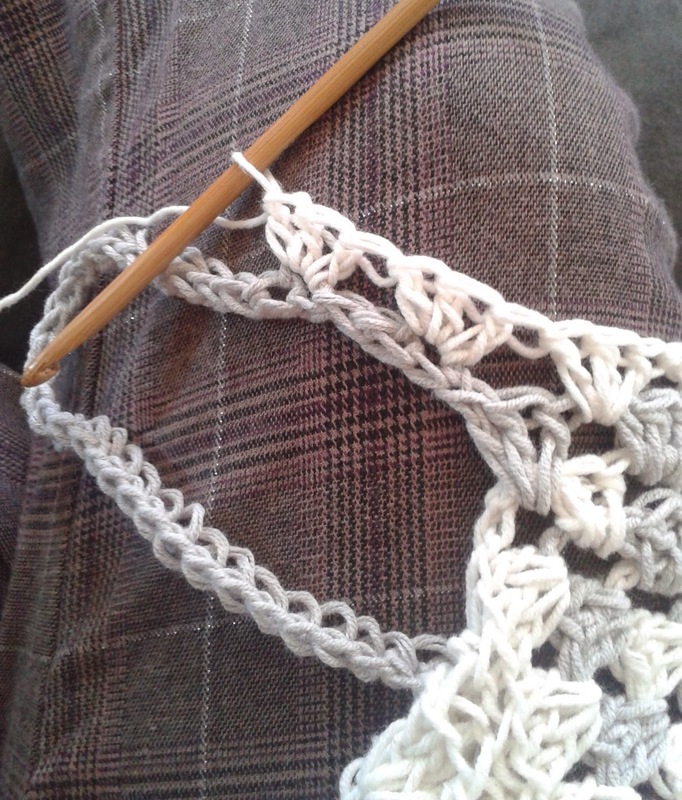 Optional: I added a lace border to mine, by: (ch3, sl st in next st) repeated all of the way around. 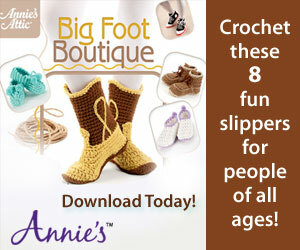 You could also add berry stitches, popcorns, puff stitches, or crab stitches to fancy it up, or leave it as is; simple. 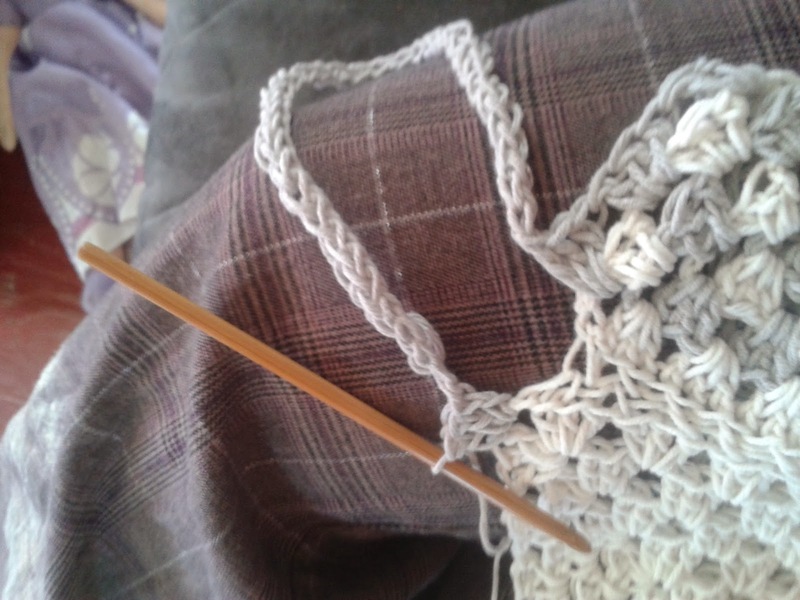 If you are happy with the length at this point – just add a finish edge, attach yarn to any bottom corner, and work a round of sc all of the way around. Rnd 2 and on): sl st in space between 1st and last shells of previous rnd; 2dc in same space; work shells around bottom, sl st to 3rd ch of beginning ch3. Continue to do this until you are happy with the length. Finish edge: ch1, sc in each dc around, sl to to 1st sc, fasten off. Or add a fancy edge like the top. 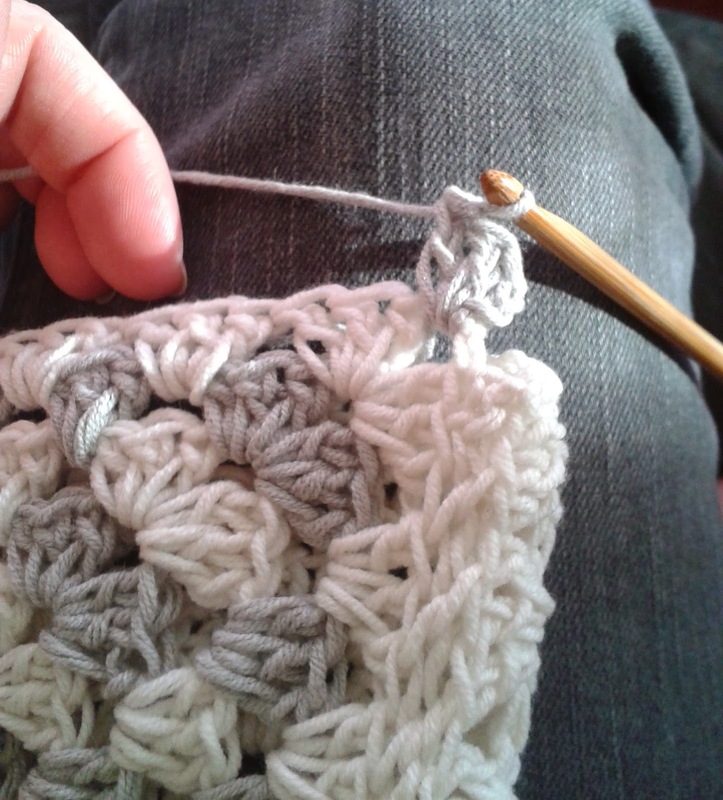 Here you can even add a ribbed edge! 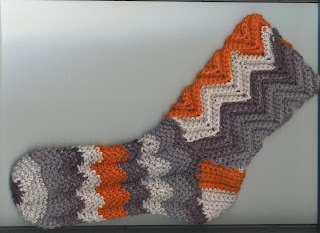 Here's a pretty twist on a crochet sock pattern! I also love the colors she chose.